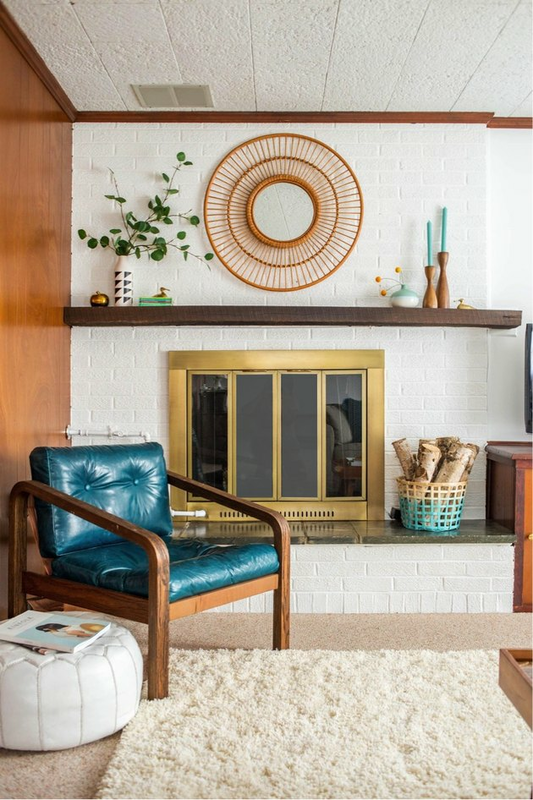 There's a myth currently circulating among modern homeowners that styling a fireplace mantel is nearly impossible. Well, we're here to dispel that claim with easy-to-pull-off tricks that will have your mantel looking like it came straight out of a magazine in no time. Below you'll learn how to create balance, work with layers, and make your fireplace the focal point it was always meant to be. If you don't have time to experiment with every tip in this story, at least make sure to take this first one to heart. 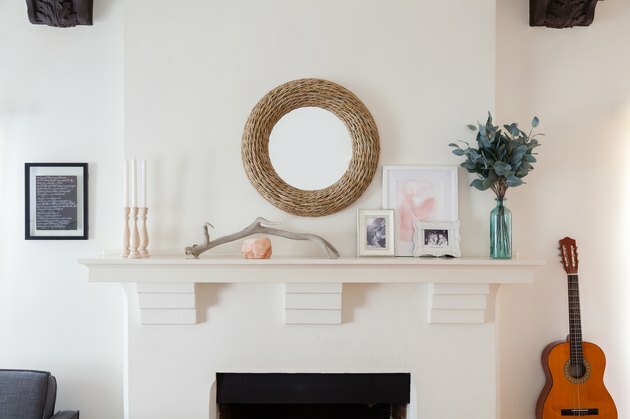 Balance is absolutely paramount in achieving a well-styled mantel, so make sure to add pieces to either side of the mantel for a look that feels weighted without feeling too heavy on one side. Since the goal is to make your fireplace a focal point, resist the urge to go all out with ultra colorful mantel styling since that will actually distract from the fireplace itself. Instead, choose thoughtful accessories in neutral colors to draw the eye without overpowering it. You already know not to relegate furniture to the perimeter of a room in order to avoid a flat affect, and the same concept goes for a fireplace. You'll want to avoid lining your mantel accessories up in a straight row. For example, try leaning a small piece of art right in front of (i.e. on top of!) a larger one, or create groupings with some objects toward the back and some toward the front edge of the mantel. Keep a triangular shape in mind when arranging objects on your mantel. The easiest way to do this is to hang a large piece of art or mirror in the center of the fireplace surround, and arrange objects in descending order by height toward either end. Visually connect the two halves of your fireplace (the lower firebox half and the upper styled area) by adding something that drapes down from the mantel. This could be anything from a a colorful garland, to a plant with long trailing leaves. Speaking of plants, it's always a good idea to add something living to your mantel styling set-up. Greenery helps add freshness and organic detail to a shelf that no other accessory really can replicate. Just make sure to choose a plant that can withstand a little heat and moisture since it will be situated above a fire! If your mantel arrangement is starting to look a little bland or symmetrical, it might be time to incorporate something sculptural and asymmetrical. 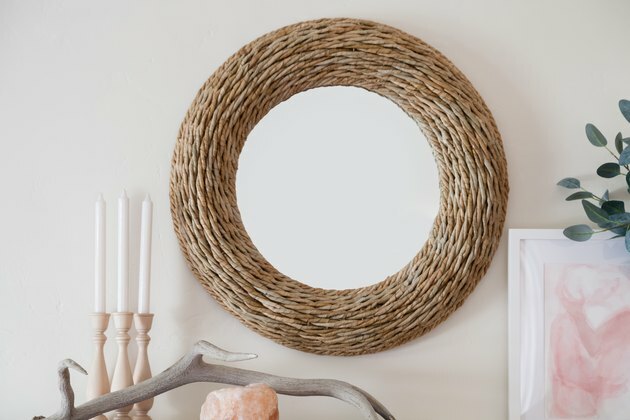 Choose a statement-making piece — like a leafy branch set in a unique vase or reclaimed wood — to give the overall look one-of-a-kind style. No matter what type of surface or shelf you're styling, groupings of three tend to look the most visually appealing. A collection of three candlesticks or photo frames looks more organic and intentional then, say, a single item or a pair. When in doubt, group your items in a trio to achieve the best balance. This one, hopefully, is obvious, but if you plan to light the fire under your mantel fairly often, make sure your accessories can handle the heat. 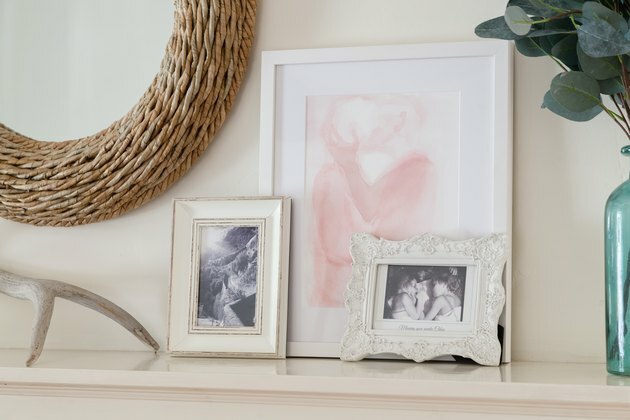 Some antique art isn't ideal for placing over a fireplace since the high heat may damage the paint or frame, and make sure you avoid anything particularly flammable or delicate, such as thin decorative paper items or silk flowers. Not even professional stylists get it right on the first try, so go into the project planning to experiment. Gather a pile of possible items to use, then place them, and step back. Tweak as you go until it feels just right — even if that means playing around with the arrangement for an hour, or even a day or two. Take breaks, but don't call the mantel "done" until it makes you smile!